Who knew that Beef Kebobs, Kamikaze Sushi, Bacon and Eggs, and Salted Pretzels could be so bad-assed? This all out food war, expertly animated and filmed to depict a "World War" air and ground battle is total *genius* in my book. And when the battle is over...guess who's left standing to sweep in as the "clean up" squadron? It's something that too few people realize. Nevertheless, heart disease ranks as the #1 killer of American women -- and men. But the good news is that heart disease can largely be prevented. And that's the committed goal of the American Heart Association and their Go Red For Women movement—empowering women with knowledge and tools so they can take positive action to reduce their risks and protect their health. Thanks to the participation of millions of people across the country since 2004, the Go Red For Women movement's signature red color and red dress have become linked with the ability women have to improve their heart health and live stronger, longer lives. So join in supporting Go Red For Women. And don't forget to Click here on the dress design donated by Lisa Perry that was voted the winner for this worthy cause. For each click, Campbell's is donating $1 to the Go Red For Women movement. And what's more, if you just happen to be a 1960s Andy Warhol "pop art" lover, then these dress designs would probably be -- totally you. 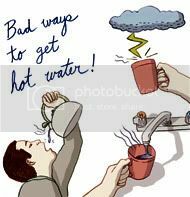 According to recent studies, so much can be said for what's really in our "everyday" hot water. In addition, the claim that one should never drink hot water from the tap bears the ring of a myth, although environmental scientists say that the myth -- is very real. Scientists emphasize that the risk is small. But to minimize it, the EPA says cold tap water should always be used for preparing baby formula, cooking and drinking. It also warns that boiling water does not remove lead but can actually increase its concentration. More information is at the EPA website or (800) 424-5323. Pouring cold water on the situation...can actually be a good thing. 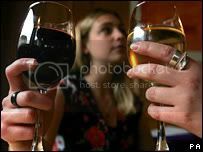 Just in time for our Valentine’s Day wine-sipping pleasure, comes a report from the Daily Mail that millions of middle-class British women are drinking too much wine. And it seems that larger wine glasses are the reason. No doubt, in a nation where 16-year-old females (and males) can freely (legally) have a glass of wine in a restaurant while in the company of a parent or adult, this news must come as a complete and total buzz killer, if nothing else. The study has actually shown that where a glass of wine used to be considered one unit of alcohol, the larger glasses are now considered two. Up to a third of women, particularly those in professional and managerial jobs, exceed the recommended weekly limit and consume more than 30 percent more than those in manual and routine jobs. Personally, I’m in that camp of die-hard wine lovers who cheered when those itty-bitty wine glasses were replaced with the more ample 12.5 oz. Riedel glasses, that allowed for swirling and inhaling your vino –- without running the risk of having it over-spilled down the front of your blouse. Still, I'll admit that I've never really thought of it in the "Mickey D" way of wine supersizing, until now. Oh, well, so much for those previous studies which found that 2-3 glasses of wine could actually be *good* for the average woman. Yeah, uh, remember those? In any event, I’m sure there’ll be more studies to come on this, guaranteed. Who would have thought Super Bowl Sunday and bacteria could go hand in hand? Well, it seems they definitely could, and if you don't want to share in a nasty little pool of microorganisms with your fellow Super Bowl partygoers, this news might be of interest to you. 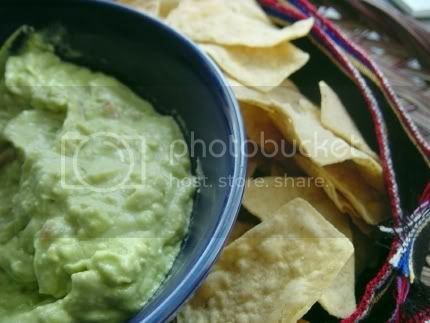 As reported in the New York Times this week, research showed on average that three to six double dips transferred about 10,000 bacteria from the eater's mouth to the remaining dip. That means "sporadic" double dipping in a cup of your favorite chip dip would transfer at least 50 to 100 bacteria from one mouth to another -- with every bite. Creepy statistics, no doubt. In any event, let's all be careful out there on Super Bowl Sunday, gang. Talk about taking a page from one of the more memorable Seinfeld episodes. Salsa and corn chips and cooties...oh, my!